Spline: This chart displays information as a series of data points called 'markers', connected by curve segments. 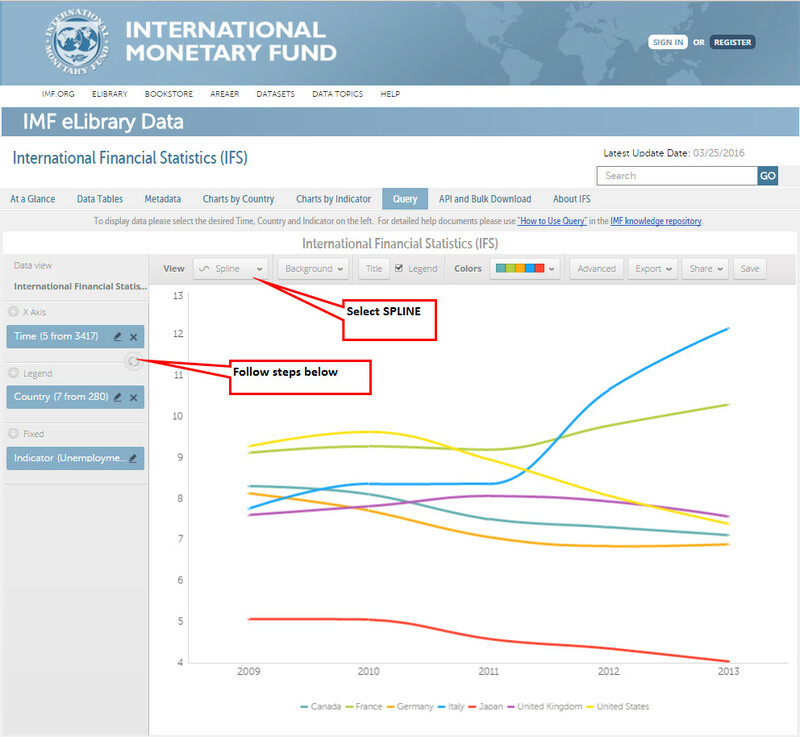 Spline Instructions - The sample chart uses the International Financial Statistics dataset and displays data for G-7 countries' unemployment rate (Percent) from 2009 through 2013. Select Unemployment Rate, Percent. Click Apply and OK.